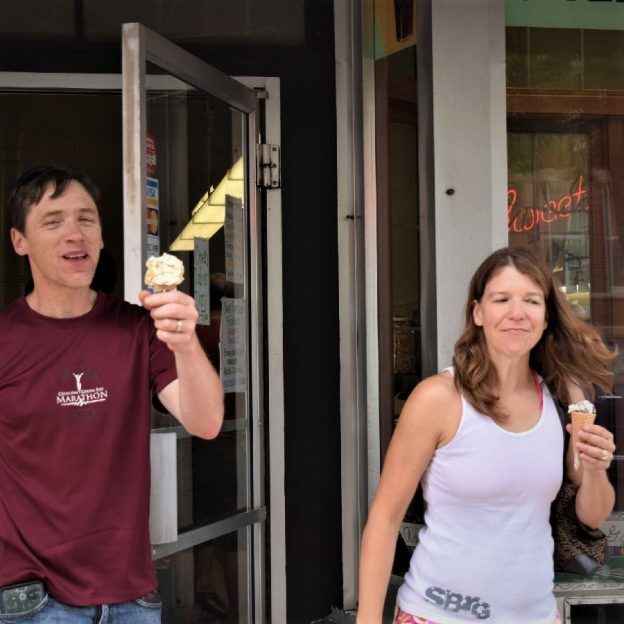 As the humidity and heat zap your energy, drink plenty of fluids on your bike ride and stop frequently for a cool treat as these two Bike Pic candidates did. While relaxing in the shade or air conditioned parlor check out the latest Bike/Hike Guides for Iowa and Minnesota for more fun rides coming up in 2018. 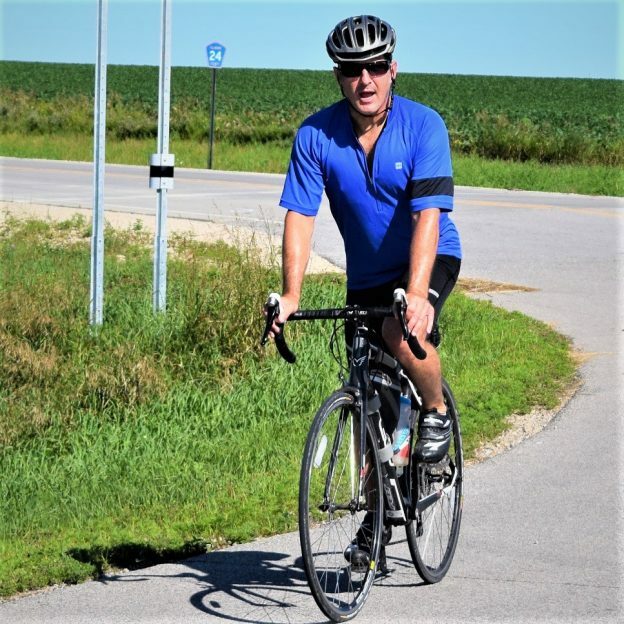 This entry was posted in Picture of the Day and tagged bike guide, Bike Iowa, bike minnesota, Bike Ride, ice cream, Ice cream smiles, Ice Cream Smiles Sunday, Iowa bike guide, pic of the day, sunday fun day, sunday smiles, Tour Minnesota on June 17, 2018 by Russ Lowthian. Yeah its Friday, another perfect spring day for riding. After cranking around why not get together with friends and plan that next great bike adventure this summer. Here in this photo we caught this biker dude pedaling the country roads in Minnesota’s Bluff Country. This entry was posted in Picture of the Day and tagged bike commute, bike minnesota, bike tour, bike touring, bike tourism, biker chick, biker dude, Friday fun, fun bike picture, May bike ride, Minnesota's Bluff Country, pic of the day, road bike, Root River Valley biking, Spring bike ride, Tour Minnesota on May 4, 2018 by Russ Lowthian. Yeah its Friday and the twenty-seventh day of #30 days of biking. After your ride why not get together with friends and plan that next bike adventure in the months ahead. 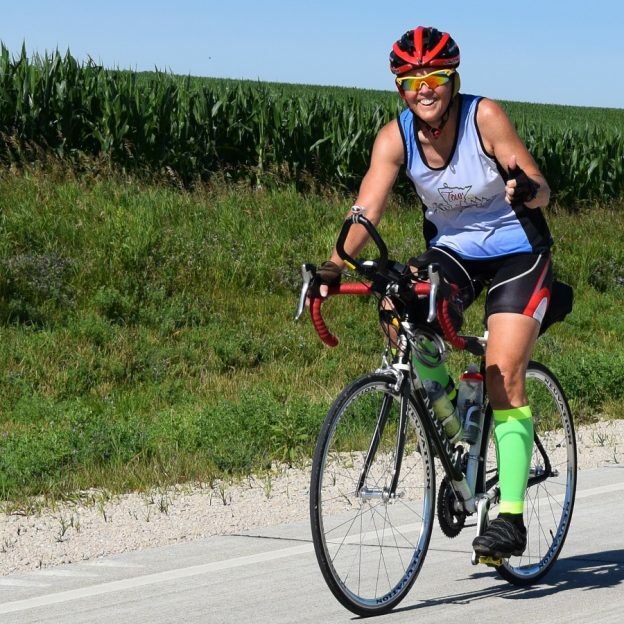 Here in this photo we caught this biker biker chick pedaling the country roads in Minnesota’s Bluff Country. This entry was posted in Picture of the Day and tagged #30 days of biking, April riding, bike commute, bike minnesota, bike tour, bike touring, bike tourism, biker chick, Friday fun, fun bike picture, Minnesota's Bluff Country, pic of the day, road bike, Root River Valley biking, Tour Minnesota on April 27, 2018 by Russ Lowthian.